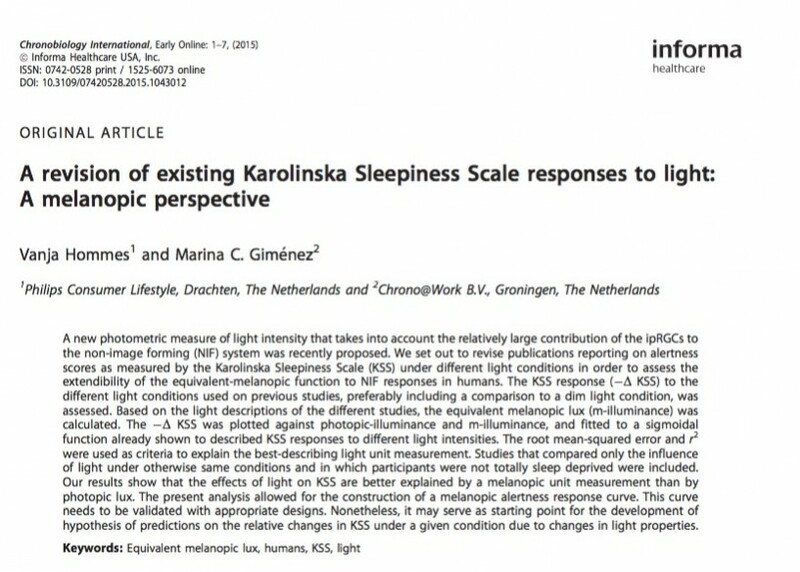 A revision of existing Karolinska Sleepiness Scale responses to light: A melanopic perspective. Hommes, V., & Giménez, M. C. A revision of existing Karolinska Sleepiness Scale responses to light: A melanopic perspective. Chronobiology International, 32(6), 750–756. (2015).